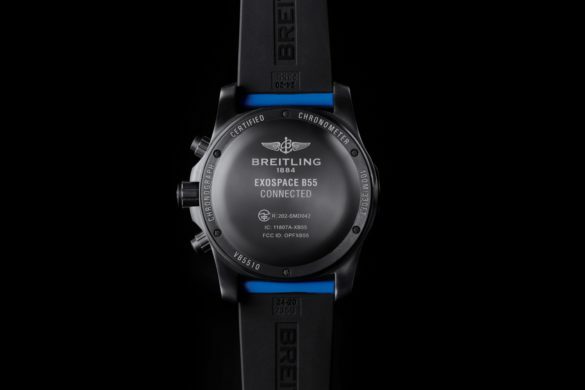 The Breitling Exospace B55 Connected Chronograph is the Swiss brand’s first chronograph that pairs with your smartphone, both iOS and Android. 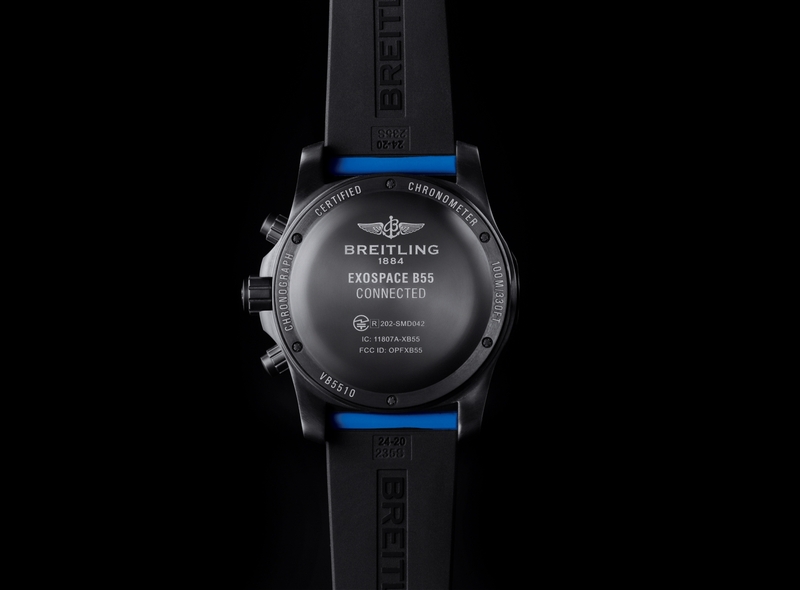 The connection works both ways: you can control the watch with your smartphone to set things like time zones, alarms, display, and night mode. 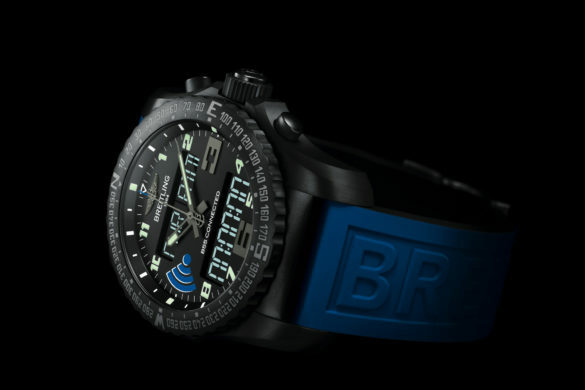 The other way is to send flight data. 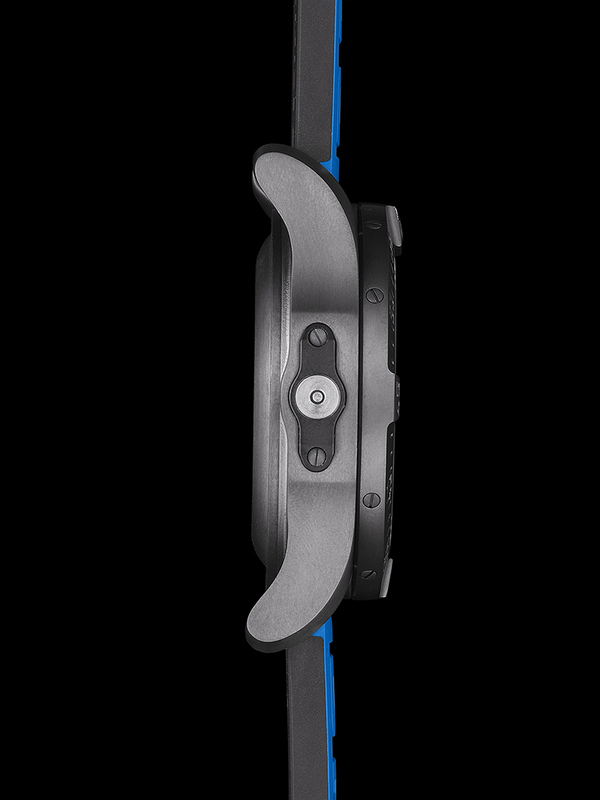 You can send recorded times with split times and lap times to your smartphone. 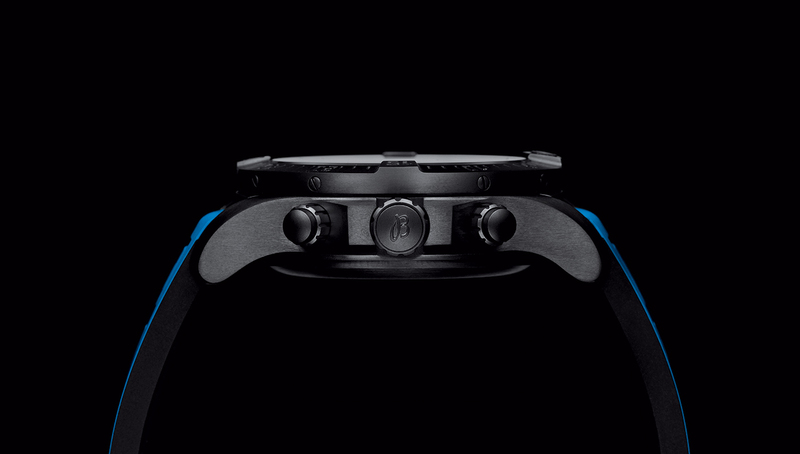 In addition, your smartphone ensures that e-mails, text and messages, calendar events and reminders are displayed on your watch. 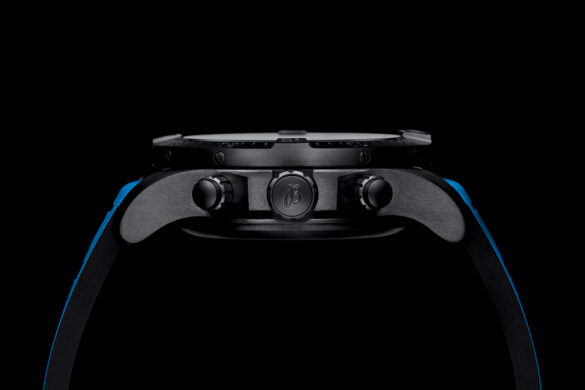 You operate the digital part of the watch with the crown and pushers. 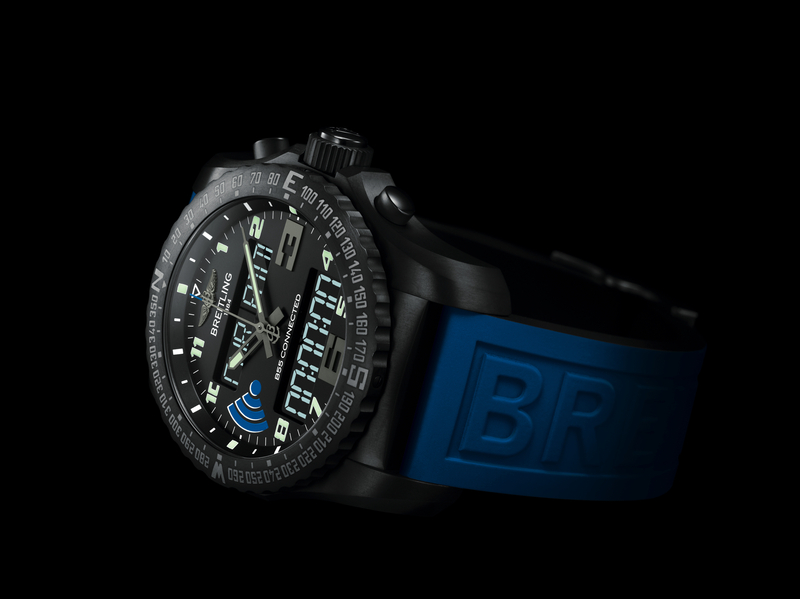 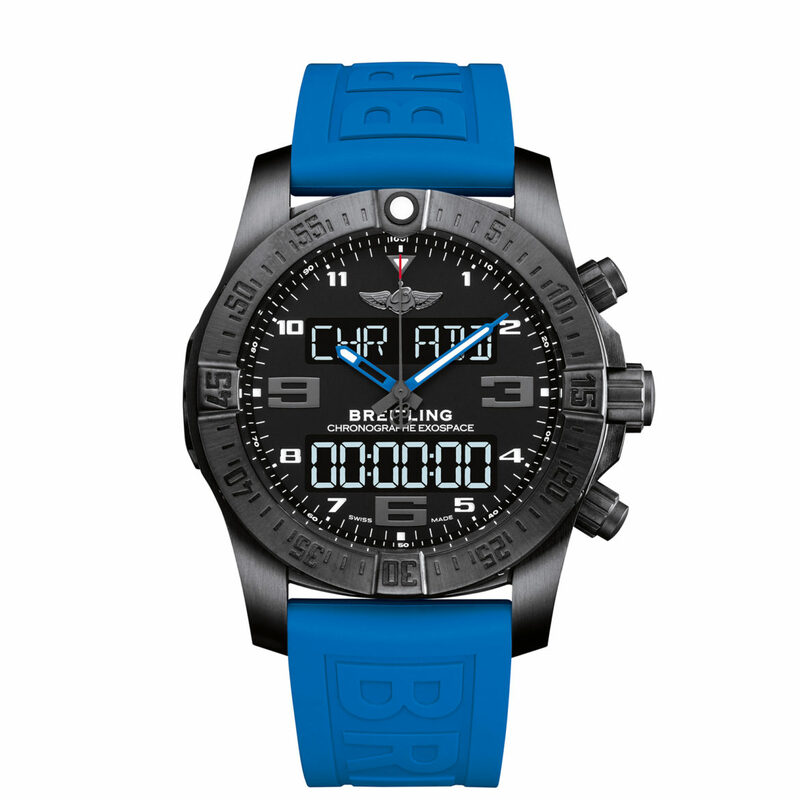 This Breitling Exospace Connected B55 Chronograph watch is also hybrid. Analog for the regular display of time, digital for a variety of other functions, focused on aviation. 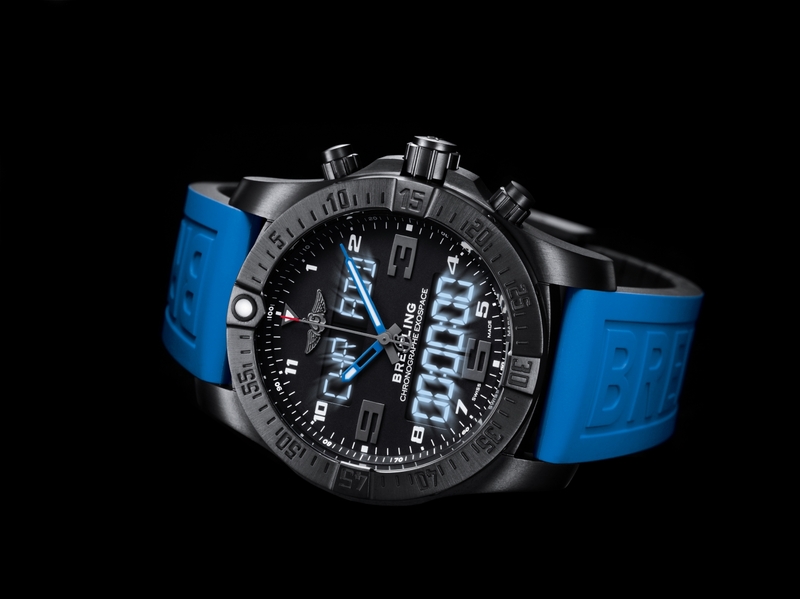 In addition to the electronic tachymeter the Connected B55 has an electronic chronograph which can record up to 50 split times, including up and countdown. 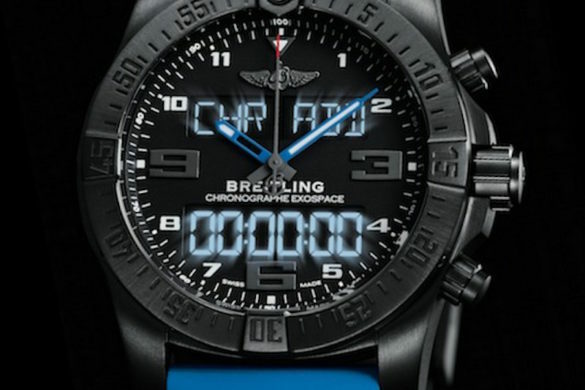 This is useful for a series of countdown and timing transactions. 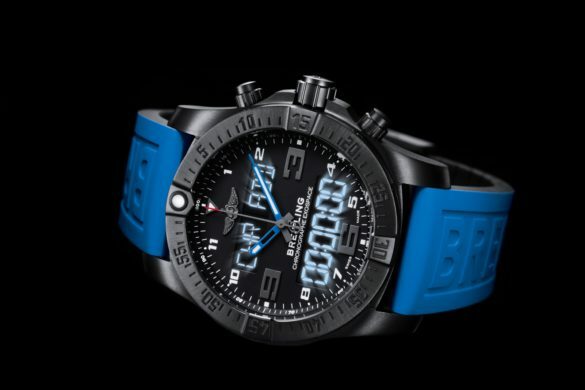 The chrono flight settings are specifically aviation oriented for recording block times. 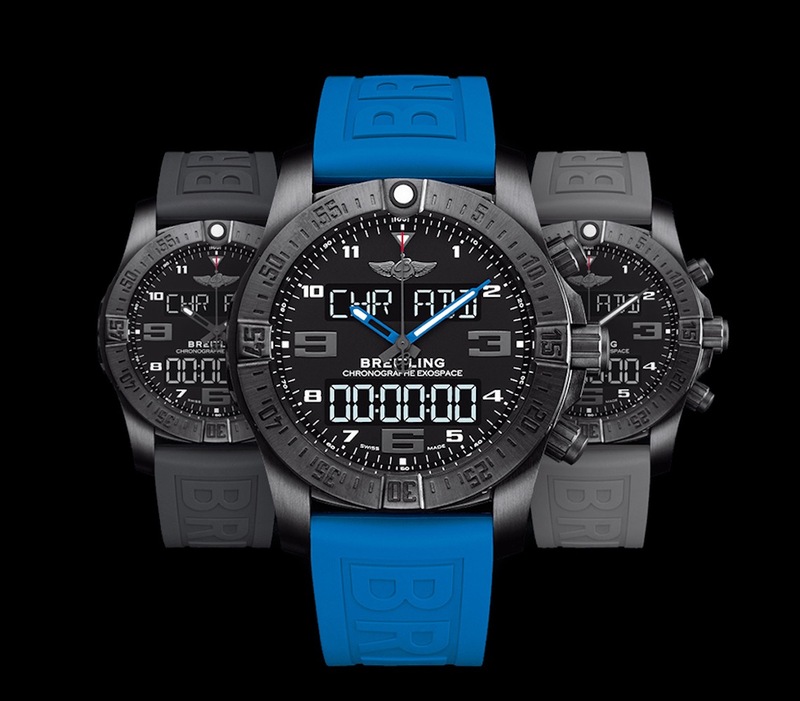 These are for times elapsed from the moment the aircraft begins to taxi toward the runway until the end of the flight. 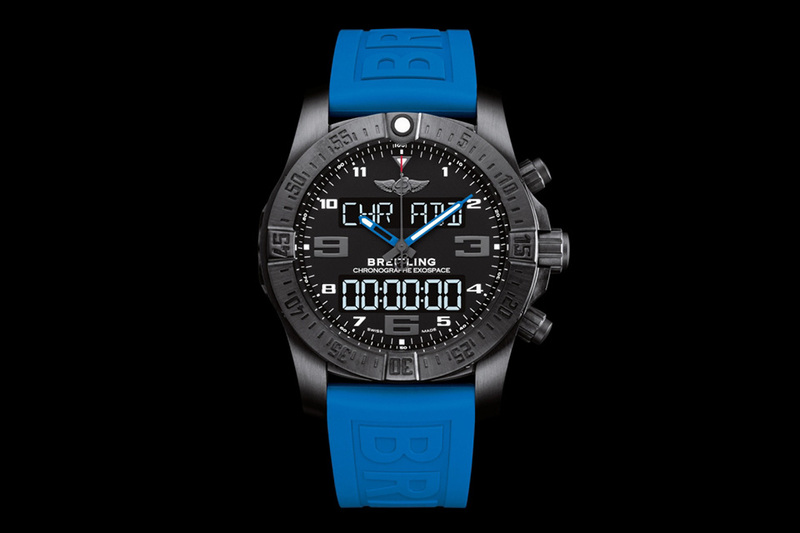 Also flight times can be registered separately while dates and times for start and landing times in stored in its memory. 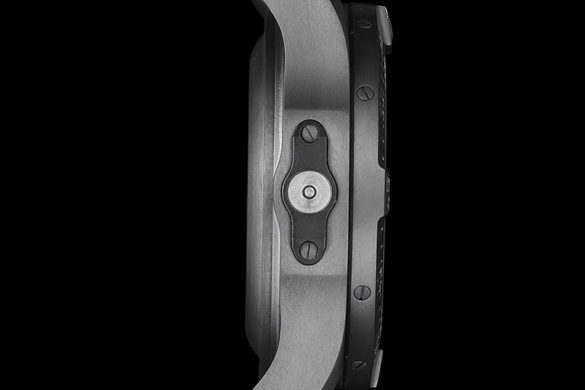 The robust black titanium case has a diameter of 44 millimeters. 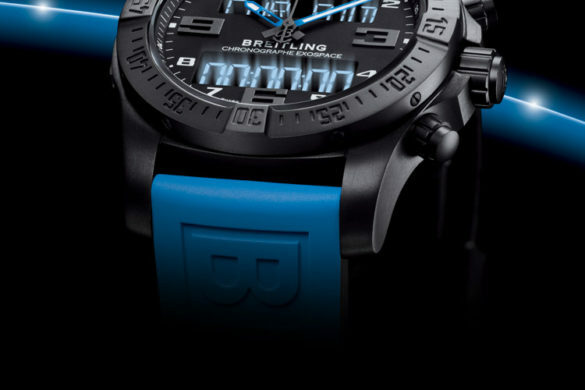 Inside you will find a rechargeable battery system and Breitling’s B55 caliber. 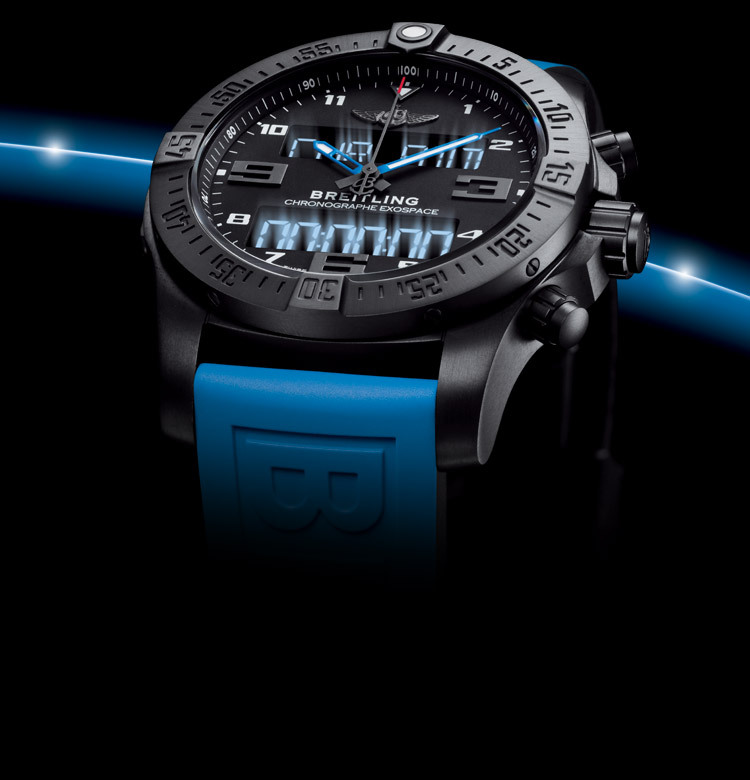 This caliber has a so-called Super Quartz timepiece which is ten times more accurate than a standard quartz movement. 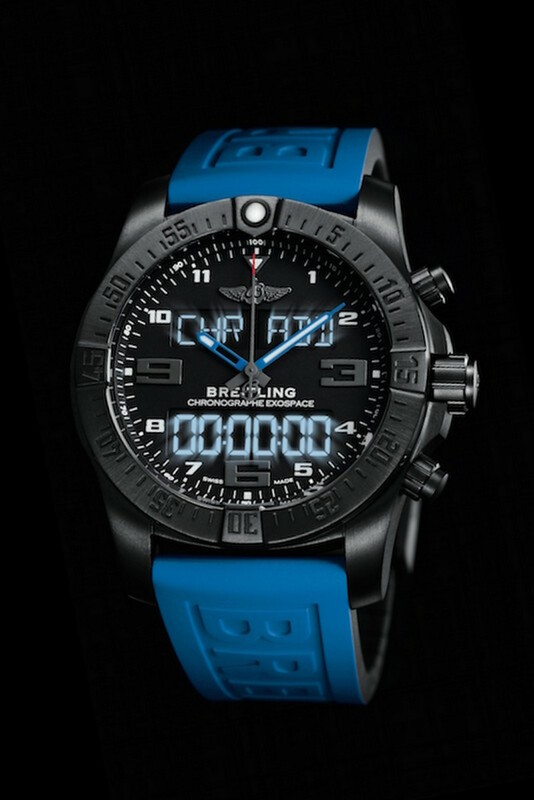 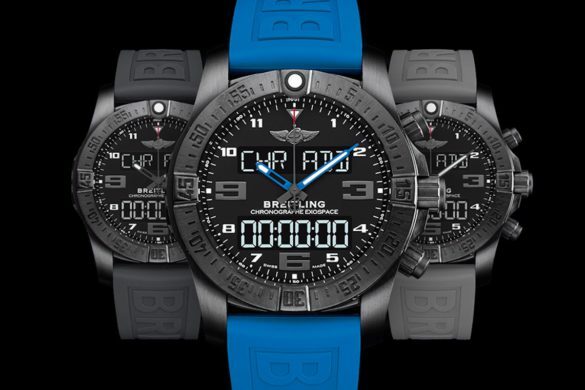 The strap of the Breitling Exospace B55 Connected Chronograph is available in three colors: anthracite, metallic gray or blue.